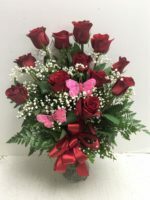 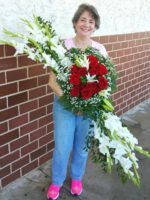 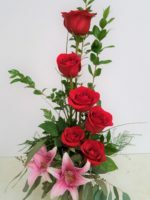 We named this A Little Glamour because it’s a touch of romance (the red roses) with other fresh flowers that are prefect for your wife or girlfriend but not too romantic for your mom, sister, aunt, grandmother or friend. 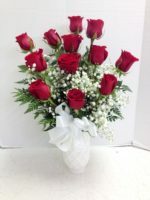 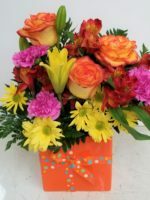 Because we are a real, local flower shop, we can substitute the red roses for pink, yellow, orange or white. 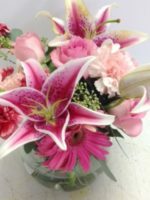 A Little Glamour is a pretty, soft floral arrangement designed in a color-coordinated vase. 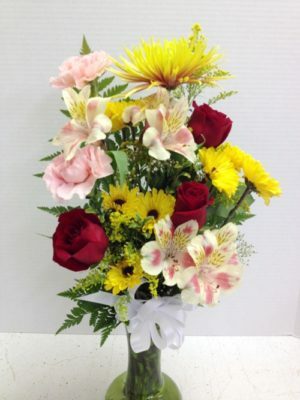 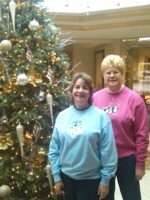 Leave it up to Pamela to put the flowers and colors together and you won’t be disappointed! 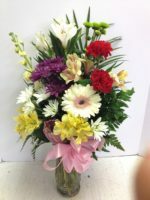 Other options that are Pamela’s Choice are Pamela’s Designer’s Choice and Mixed Floral Fun.